Looking for reliable warehousing, trucking, and logistics in Lincolnwood, Illinois? Visit JRC for full access and control over your inventory and shipping processes with our comprehensive management system. Our flexible and affordable solutions can give your business what it needs to succeed, allowing you to easily track products and transactions from storage to delivery. Using our wireless warehouse management system, you can track every warehouse process through our warehouse located near Chicago’s metropolitan area. This system offers accurate tracking of inventory, flexible reporting, real-time visibility of inventory, online customer order entry, and pallet or carton tracking for FIFO or LIFO products. Some clients prefer a flat rate for Lincolnwood warehousing, which is why we also offer shared warehousing options to give you access to a set square footage of warehouse space in a monthly contract. We’ll give you total control over that space, providing you with all of the labor and equipment required for moving in and out of the space. We can even provide monthly labor if the volume of work warrants it. Oversized and specialty items are often difficult to store, but we make it easy with the proper equipment to handle and store many types of specialty or oversized products. Lincolnwood cross docking and short-term Lincolnwood warehousing are also available through our warehouse. 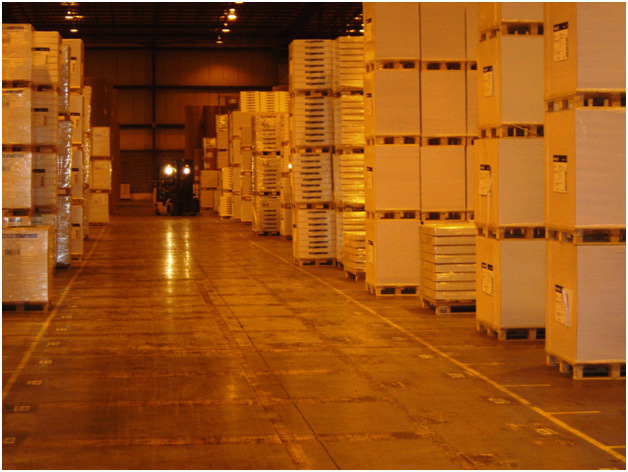 Regardless of what your Lincolnwood warehousing specifications are for your products, we’ll assist you with a complete warehousing solution that covers every aspect of your operations. You won’t need to remain concerned regarding where your inventory is at any time, with complete tracking abilities that indicate where products are at all times. With these services, we can help eliminate any worries you might have about broken, lost, or late inventory. Apart from warehousing, we can provide you with a comprehensive inventory management system that includes trucking and logistics in addition to Lincolnwood warehousing. Using a combination of these services, we can help ensure that your products will benefit from effective and efficient storage, transportation, and shipping. Regardless of whether you need Lincolnwood warehousing, trucking, or logistics services, we’ll work hard to meet your specific needs for every application. Need efficient trucking for products? JRC can give you full access to a fleet of trucks to handle overnight FTL and LTL or same-day rush deliveries for truckloads of all types. We offer plenty of trucking options depending on the load, such as 53’-102’ trucks. Through our Lincolnwood trucking services, you’ll experience reliable and on-time deliveries all throughout Chicago. Shipments are customizable by time, skid, spot quote, or cwt regardless of volume and shipment needs, and clients can also receive seasonal storage and cross-docking with our trucking services. Like our Lincolnwood warehousing services, we’ll make sure that you benefit from top-tier services that give you the best achievable results on a consistent basis. You’ll be able to remain comfortable in knowing that your warehousing and trucking operations are in experienced and efficient hands. Regardless of your needs, JRC can provide you with the equipment and systems required for all warehousing and transportation operations, with comprehensive Lincolnwood managed logistics services. You can use our services to create a complete distribution hub while remaining within your available budget. Among our logistics capabilities is access to all rail yards along with the port of Chicago, with container services that offer delivery, devanning, and distribution right out of our warehouse. We can work with both international and national shipments. Our trucking services include a fleet of 9 tractors and a variety of trailers for same-day FTL and LTL shipments, and you’ll receive full access to our 70,000 square-foot warehouse based in Skokie, Illinois. As leaders in third-party logistics (3PL), we can provide same-day delivery, inventory control, and short-term storage for a wide range of products with Lincolnwood managed logistics. You can easily track transactions and inventory every step of the way with real-time visibility. For a complete Lincolnwood warehousing solution and more that allow you to fully support your customers, contact JRC today.